PCI DSS is a security standard used by all organisations which handle card payments: retail outlets, processing centres, financial institutions, service providers and other organisations which store, process or transmit cardholder information and/or critical authentication data. With a website everything is quite simple: During the integration process, it is sufficient to use a technical solution which re-directs the payer to the site of a PCI DSS certified payment gateway (so-called hosted payment pages) or loads the certified site within a frame on the original website. Either way, the buyer is directed to a form where they enter their card information. In such cases, the seller is not subject to the security standards since he does not store card data and it is not transferred through their servers. Plus, owing to the security policy of web browsers, they do not have access to the payment gateway frame. Category 3: Payment applications operating on any consumer electronic handheld device (e.g., smartphone, tablet, or PDA) that is not solely dedicated to payment acceptance for transaction processing. PCI DSS may not apply directly to payment application vendors unless the vendor stores, processes, or transmits cardholder data, or has access to their customers’ cardholder data. 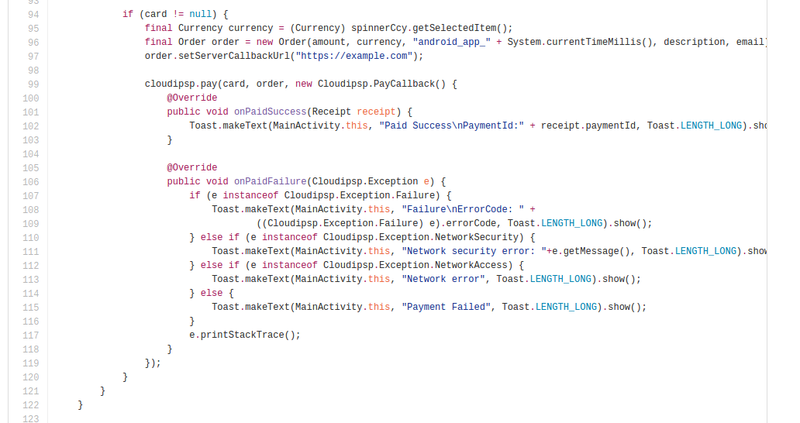 Let’s examine how this works in the mobile SDK of payment service Fondy using the Android version as an example. 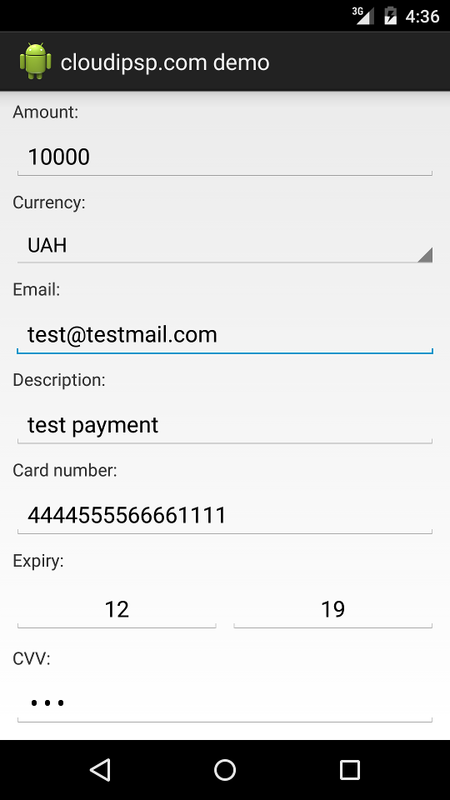 The solution entails the card data being inputted into a View created by the SDK library, whilst the mobile application uses public methods of this View in order to initiate the payment, stylise the form and receive information about the completion of the payment. 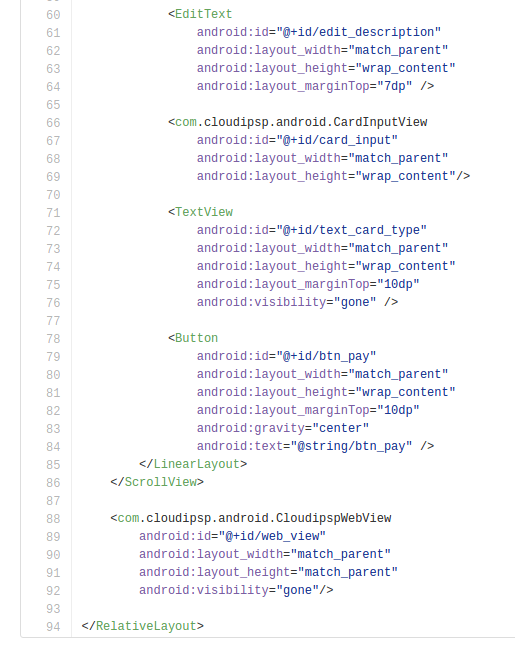 However all the elements, including those belonging to the class com.cloudipsp.android.CardInputView can easily be stylised according to the design of the main application. 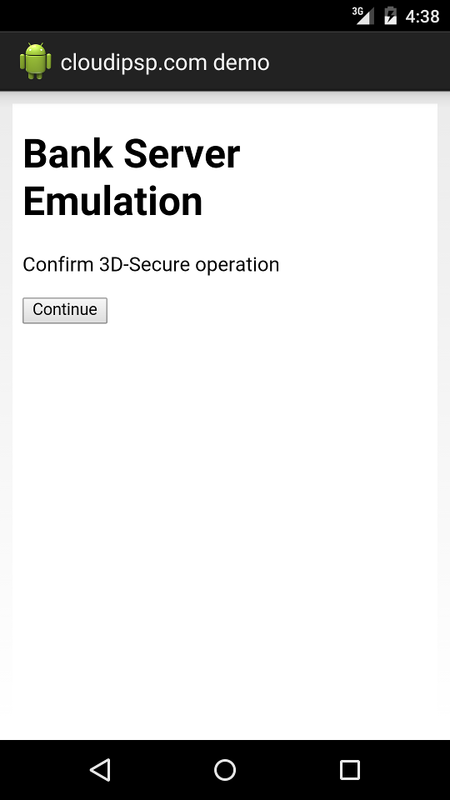 For later work with applications and cards enrolled in 3DSecure service, we will need elements of the class com.cloudipsp.android.CloudipspWebView. This is a WebView, in which the payer is re-directed to the site of his/her issuing bank in order to type in their password. 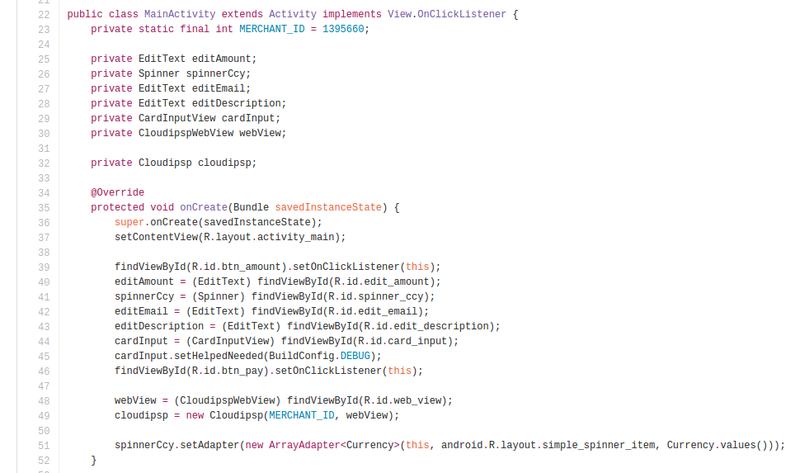 As you can see, integration is fairly simple and does not require special effort from the application developer. 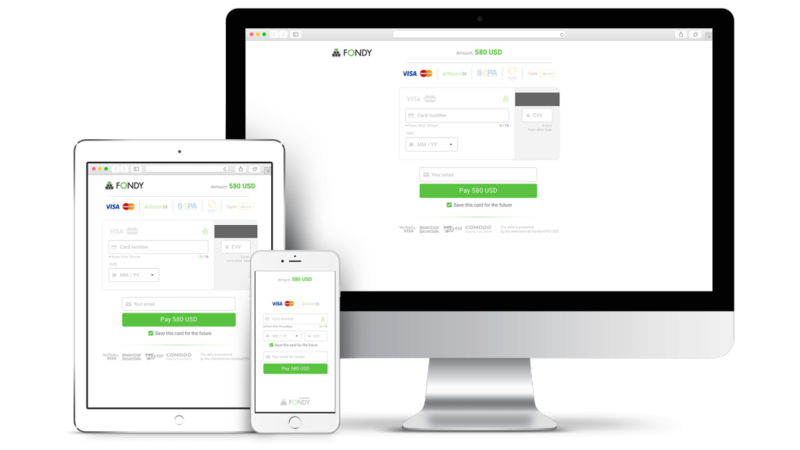 What’s more, the SDK solves two problems simultaneously: it gives the vendor a method to accept payments via card and saves them from having to get security certification.